If the idea of beach-side BBQs hasn’t spurred you to buy a new one, the prospect of January 26th should get those juices revving. 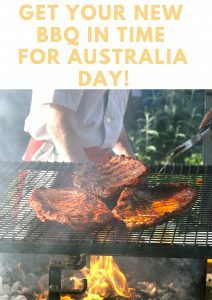 No Australia Day celebration is complete without barbie and beer, so if your old grilling gadget hasn’t been dusted out, wire-brushed, and oiled to sooty perfection (or if it’s too tatty and rusty to be restored), it may be time to go shopping. By the end of January, any holiday guests you were hosting are probably gone. This means you could choose to invest in a smaller BBQ, because you don’t need to cook for a crowd. But many people use Australia Day as an excuse to celebrate after 300 days of Jan-worry. You first pay cheque of the year has arrived (for those on salaries rather than weekly wages), and you can see the light at the end of the tunnel. The tunnel being debilitating brokenness after (expensive) holiday festivities. So if you know you’re having people over, it can be helpful to up the size of your BBQ purchase. You may not want the hassle of having to clean up the house after the guests are gone. In that case, you could arrange a potluck picnic instead. Everyone will bring their own dish – or their own barbie. Yours needs to be mobile for easy movement, so consider a portable Weber. In a sense, most Webers are portable, because they have castors attached. Some units are more comprehensive, like the Genesis, Spirit, or Performer. They have storage cabinets and side tables, so they function as a full outdoor kitchen. But Webers that are deliberately designed for portability include the Weber Go Anywhere and the Weber Smokey Portable. They’re built with smaller bodies and foldable feet, making them easier to carry around. The Go Anywhere uses a gas bottle while the Smokey Portable is a charcoal-burning Weber moulded in the traditional kettle design. Both have cook-surfaces that hover around the 1,000cm2 mark, so they can grill for 2 or 3 people. They’re ideal for solo camping trips, though that’s hopefully not how you’ll spend Australia day. Suppose you’re a little more ambitious, and that your new year’s resolutions include building closer connections by having lots more people in your house. Unless your ‘room-mates’ are in agreement with that deal, it may be a good idea to sign up for a year’s worth of domestic cleaning services, because hosting is bad for hygiene, and while you might love having house-guests twice a week, the person in charge of chores will be less happy with the deal. Plan B? Install a side door, so that your guests don’t have to clutter the main house. Put up a garden shed or granny flat with its own bathroom and internet, so your home remains largely undisturbed. The clincher? Install an outdoor kitchen. The Beefeater Artisan is a good choice. On its own, it has a hooded BBQ with four or more gas burners and weather-resistant stainless steel construction. The counters are granite and the cooktops are rust-proof cast iron. Each kitchen has its own set of cabinets and side burners, and you can attach modular mini-fridges and even a kitchen sink with hot water options. 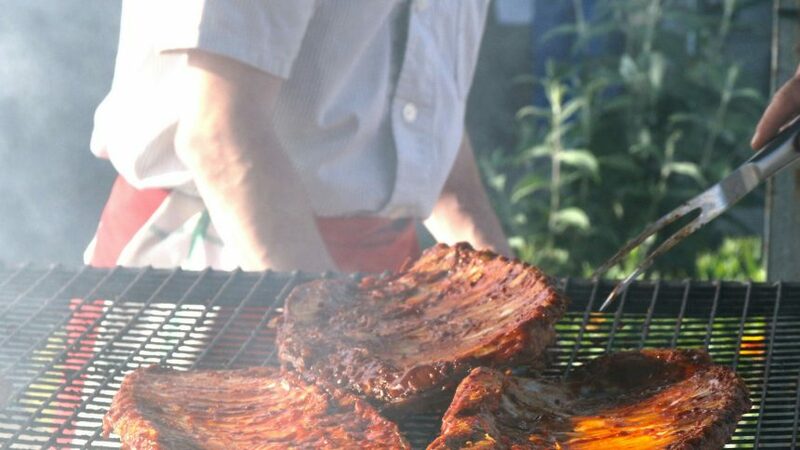 BBQ isn’t all about meat and the occasional corn cob. You could go all out and install your very own pizza oven (which fortunately, can do a lot more than bake pizza. It can do pot roasts, pies, cookies, and even roast shrimp!) Most pizza ovens are wood-burners, so before you rush to put one in, make sure there’s a reliable firewood supplier in your neighbourhood. You probably don’t know this (because the movies never show it), but for wood to be an effective fuel source, it has to be dried out for 6 months to two years, according to type. If you have bushland nearby, you can go collect some logs and twigs, but they’re more likely to be softwood stumps that aren’t sufficiently seasoned, and you’ll end up using excessive amounts, because softwood burns faster and produces less heat than hardwoods. And said hardwoods are less available in the wild. So Google local firewood services and have them bring you a firewood basket before Australia Day – demand will be pretty high that weekend. As for the pizza oven itself, many models are DIY, but styling differs. You could buy a pre-assembled Alfresco oven with its traditional clay finish, or a contemporary Zesti with a shiny metal cowl. It looks stylishly modern, and is much easier to clean. And if you don’t want extra work, get a portable, three-legged MorsoForno, or opt for their countertop unit. It can bake, smoke, and slow-cook, no assembly required.